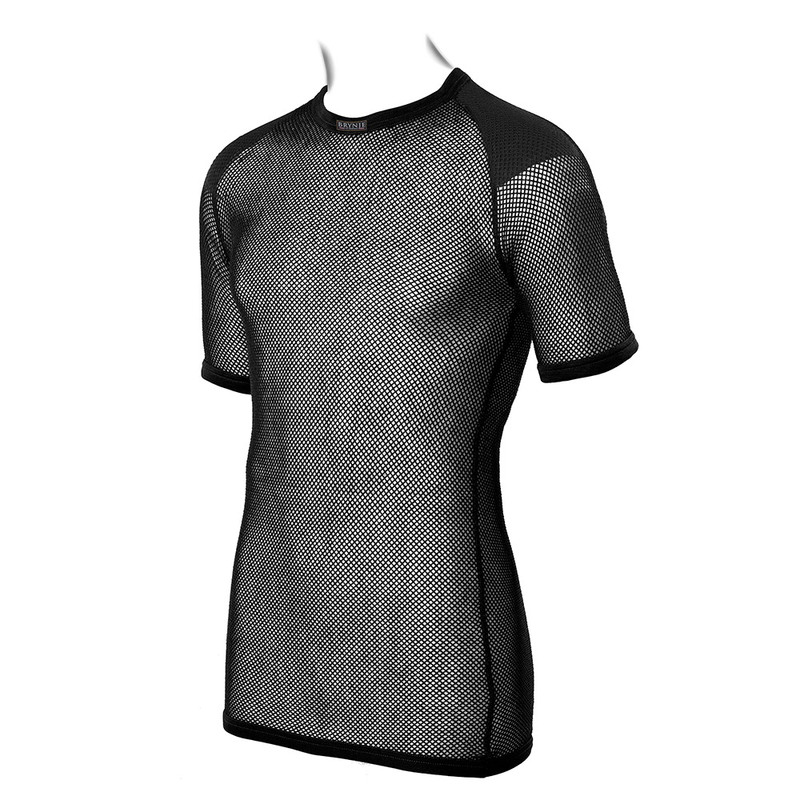 80/20% Merino wool/polyester mesh t-shirt with shoulder inlay for added comfort while carrying a pack. 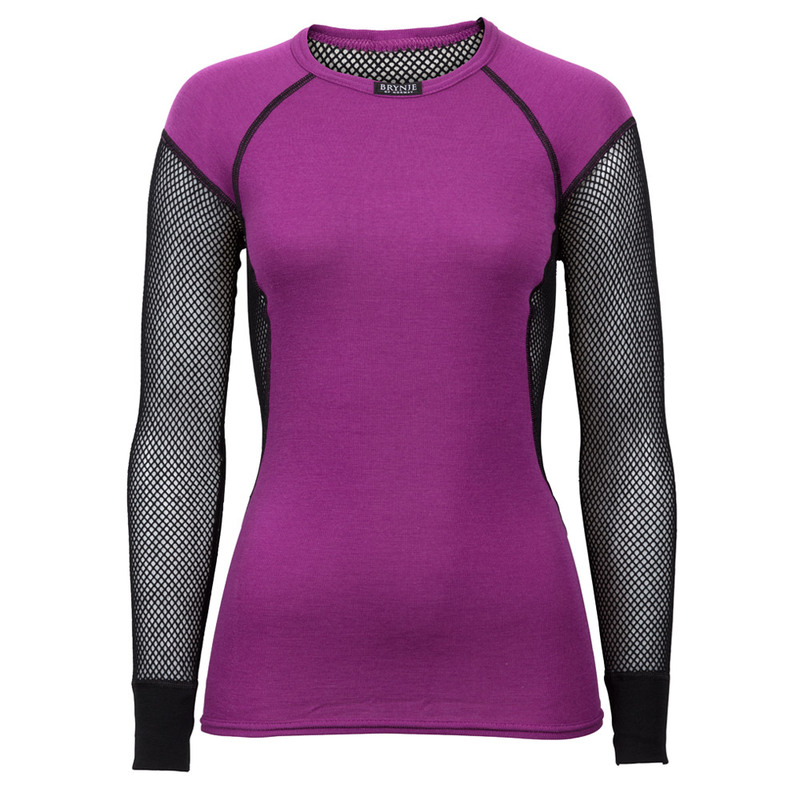 This is a versatile base layer for most outdoor activities and daily wear. Unisex sizes: XS – XXXL. Color: black. The Wool Thermo (WT) mesh collection is made with Schoeller® 80% Merino wool and 20% polyester yarn providing excellent warmth when damp and superior odor attenuation. 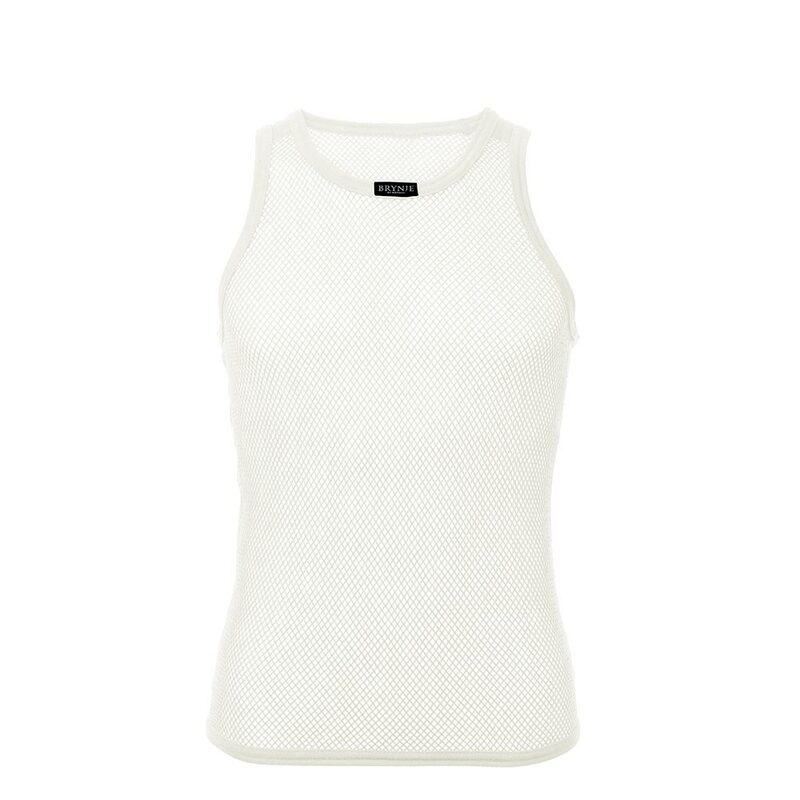 Brynje’s classic 3/8″ open weave design provides 4 to 6 times the insulation value of any solid knit by weight. 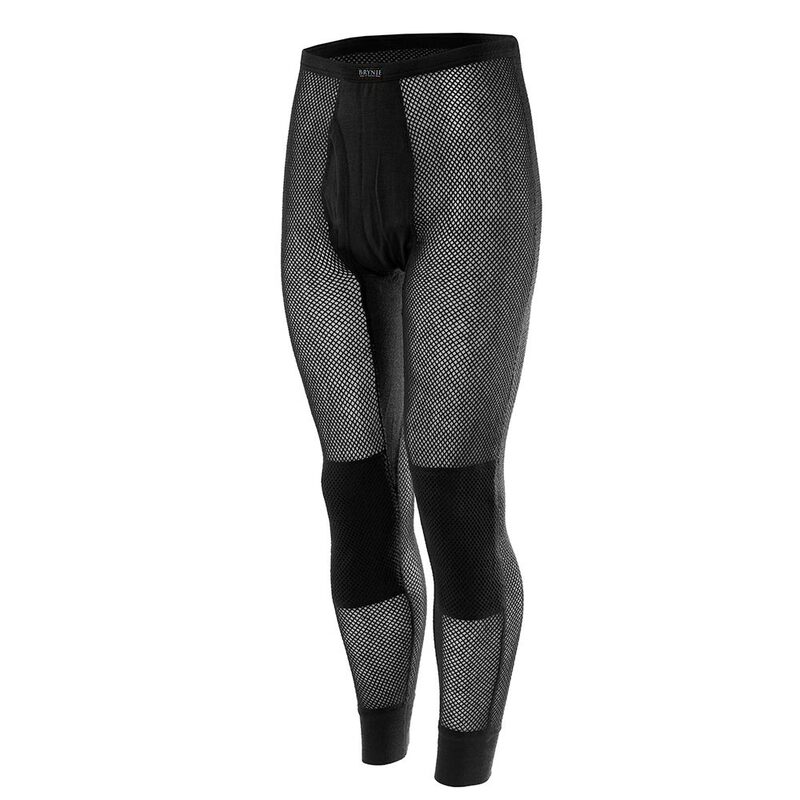 The mesh design also allows moisture to transport to the outer layers in vapor form thus keeping you dry during periods of high activity. Brynje’s WT Merino wool blend is very soft against the skin and has greater strength and durability than 100% Merino wool yarns. In addition, Merino wool’s great odor management properties means more uses between washings which protects both the garment and the environment. 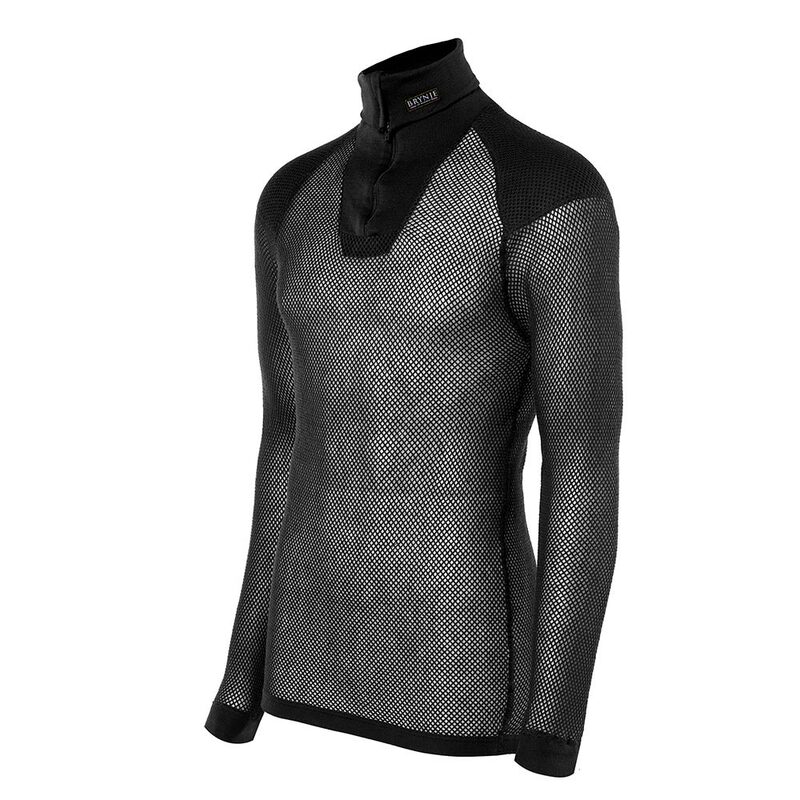 These garments are a great choice for virtually all conditions and activities.